SAVE at Year's End - Sale ends December 31 or while supplies last! Each kettlebell added to your cart, increases discounts! Also, add any 2 pieces of Kettlebell Kings Apparel and get one of equal or lesser price for free! Automatically applied at checkout! Have questions about which kettlebell is best for you? Read here! Save automatically at checkout up to 30%! 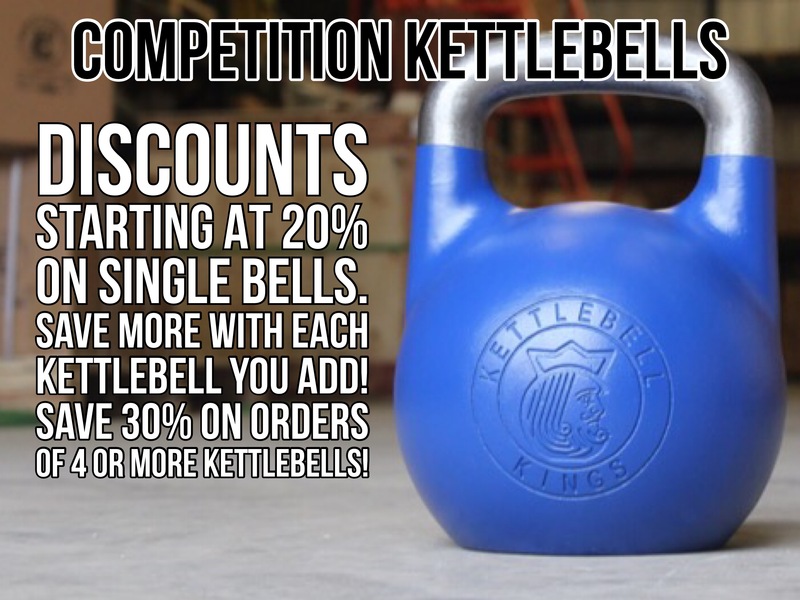 Save on Competition Kettlebells Up to 30%! ALL Powder Coat Kettlebells now have recessed logos for greater comfort during lifts! Shop in KG & LB and save automatically at checkout! 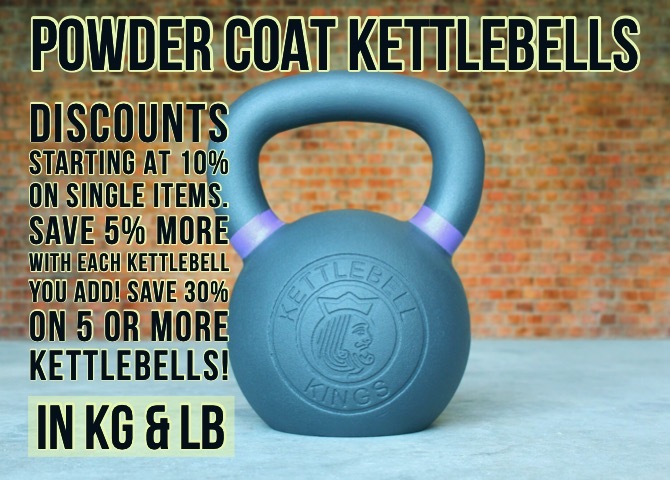 Save on Powder Coat Kettlebells up to 30%! Add any 2 pieces of Kettlebell Kings Apparel and get one of equal or less price for free! Discount automatically at checkout, add any 2 and then when you add the third, it willbe free at checkout! 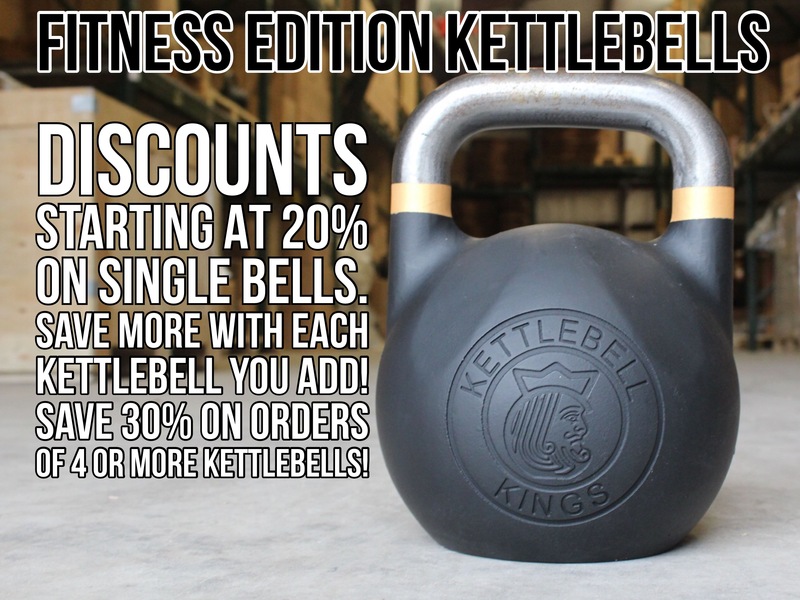 Save on Fitness Edition Kettlebells up to 30%! 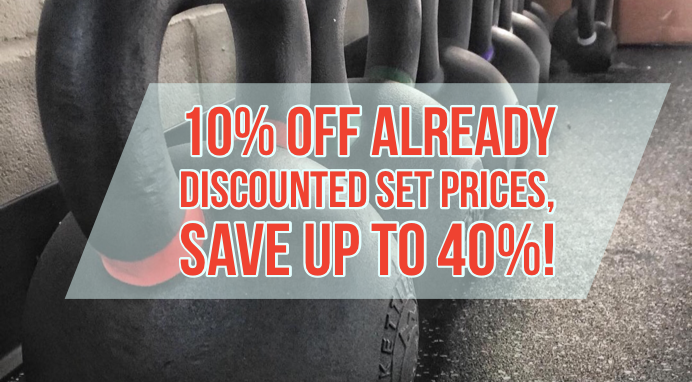 Kettlebell Sets are already heavily discounted by up to 30%, automatically save an additional 10% at checkout when you shop kettlebell sets!